Planning for retirement can be stressful, but it does not have to be so any longer. In today’s age and society, having a secure place to live, proper care and attention in old age is paramount to many of us in this generation. 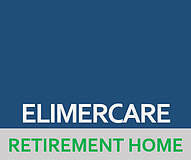 Even though we are all faced with the reality of life after employment and beyond, ELIMERCARE has a variety of solutions to cater for the needs of our ageing parents, relatives and friends in Kenya. Gone are the days when our ageing population saved money and yet still did not know where to go or turn to, for proper and even luxury living when they cannot care for themselves any longer. At ELIMERCARE, our clients do not have to change their lifestyle habits. We provide a home environment in which our clients feel welcome, appreciated, cared for, and supported like in their own home, if not better. We are committed to ensure that the needs of our clients are fully met physically, mentally and spiritually. We provide them with full balanced services such as fully serviced accommodation, balanced and healthy diet, activities, entertainment such as social evenings, games, outings and other personalized support according to their individual needs and as requested by their families.